With the Grandia games announced for Nintendo Switch -- and not to mention the best-selling Octopath Traveler -- you’d think we would have enough classic role-playing action to go around. But Sega just added a key guest to this party. 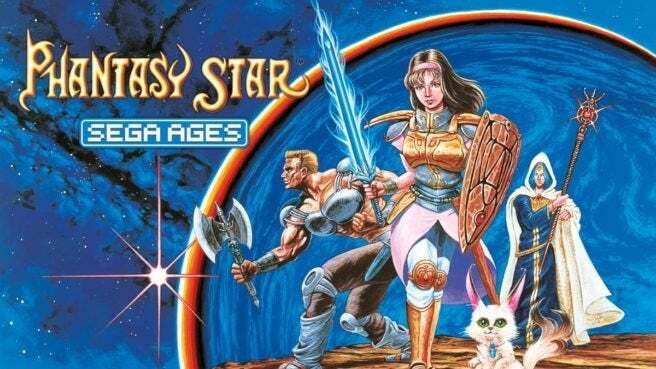 The company has announced that Phantasy Star, the classic Sega Master RPG that started the best-selling series, will be joining its Sega Ages line-up, set to release in September. The pricing is set around 925 yen, or around $8.38 in U.S. dollars. The 1987 classic is still considered one of the all-time greats by fans, even though the series evolved with its sequels on the Sega Genesis, as well as with Phantasy Star Online for Dreamcast and Nintendo GameCube. Now fans will be able to experience where the whole thing began, and with extra features to boot. Sega has confirmed that a number of goodies will be included with the perfect port of the classic game, including a bestiary, an item and magic list, auto-mapping functionality and more. What’s more, the item list shows what kind of weapons and armors you can utilize, as well as the characters they’re best suited for. You’ll also be able to pick and choose what tracks you want to hear with the built-in music player, including selections from the original game as well as the FM Sound Unit edition. Right now, the game’s only been announced for the Japanese market. But considering that Sega has confirmed we’ll be seeing Sega Ages games on our shores, it’s just a matter of time before it makes its way here. We’re still waiting on the first two games in the series, Sonic the Hedgehog and Thunder Force IV, to be announced. Hopefully we’ll hear something this week, including finalized pricing and possible future entries in the series, like Alex Kidd In Miracle World. In the meantime, if you’re curious, check out the original Phantasy Star for the Sega Master System. It’s pretty awesome. Maybe this'll lead to future games in the series to the Switch down the road. Or, for that matter, how about the Shining series? Skies of Arcadia? A gamer can dream.